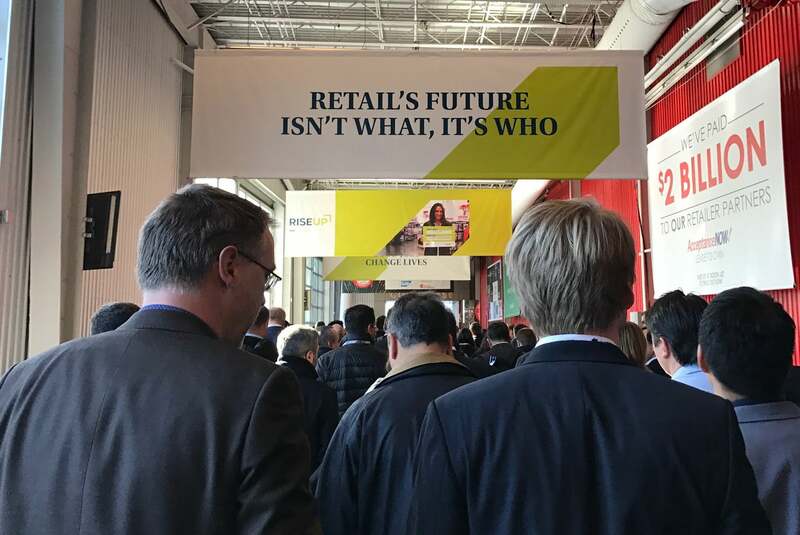 Financial struggles, tech experiments and the rise of online shopping -- those are the dominant narrative elements of today's retail industry. But just because people are less likely to walk through the doors of certain stores nowadays does not mean they’re not interested in stores in general. The problem, many analysts argue, is that certain retailers are not interested enough in their customers. They’re interested in what their customers end up buying from them, sure. But they have a harder time determining what those customers want in the first place. The Limited, Wet Seal, Gander Mountain and Payless have all filed forbankruptcy. The head of Sears Holdings has admitted “substantial doubt” about the company’s ability to stay in business amid closing 150 stores. There are too many big-box stores in suburbs, and today the U.S. urban population is increasing faster than the national population overall. Meanwhile, Amazon is planning a three-day summit to try to lure consumer packaged goods brands away from their retail partners. Amid these shifts, smaller players can’t simply look the other way. They should be watching and learning from big retail’s shortcomings -- and viewing this moment as one filled with opportunity. It’s an oversimplification to suggest that the reason big-box stores are closing is because people are shopping online. The truth is more complicated. For one, a group of traditional retailers is actually growing its ecommerce business faster than the U.S. retail ecommerce market is growing overall, according to the 2016 Deloitte Retail Volatility Index report. When we think of ecommerce sales replacing brick-and-mortar sales, we don’t often think of it happening within a company. Retailers who pursue omnichannel strategies may just be taking business away from themselves. You also can’t generalize the state of the retail industry down to one ratio that represents all online sales vs. all in-store sales. Purchasing behavior varies too much from industry to industry. For example, Cohen explains, 30 percent of transactions for technology products or services happen online, compared with only 16 percent of apparel sales. Selling online isn’t the key to success -- even the big, struggling retail giants are doing that. At the same time, off-price retailers (think T.J. Maxx and Nordstrom Rack) have been thriving by comparison, competing on price and convenience even though they don’t have much of an online presence. Moody’s analysts expect the sector’s sales to increase by about 7 percent this year. Online sales aren’t the only tech development shaking up retail. Today, you can sell nationally without a chain of stores and without owning any of your inventory or assets. You can outsource your call center and marketing campaigns. You can reach a large audience via social media. Or you can manufacture and sell your own products rather than selling through a third party. Look across industries, and you’ll recognize tech-driven increased competition in the sharing economy, online marketplaces, digital publishing, you name it. If you’re one of countless fish in the pond, what can you do? Reframe your thinking, Lobaugh suggests. He notes that one category of retailers that are performing well today is made up of those that are competing on what’s cheaper, faster or easier. It’s difficult to achieve success in this way if you don’t have scale, he explains. At the other end of the spectrum, there are retailers who have differentiated themselves by offering an exclusive product or experience. Small retailers, because of their size, are more likely to find a niche and be nimble. But the big question is: How do you stand out? How do you create a unique experience in a sea of competitors trying to do the same thing? 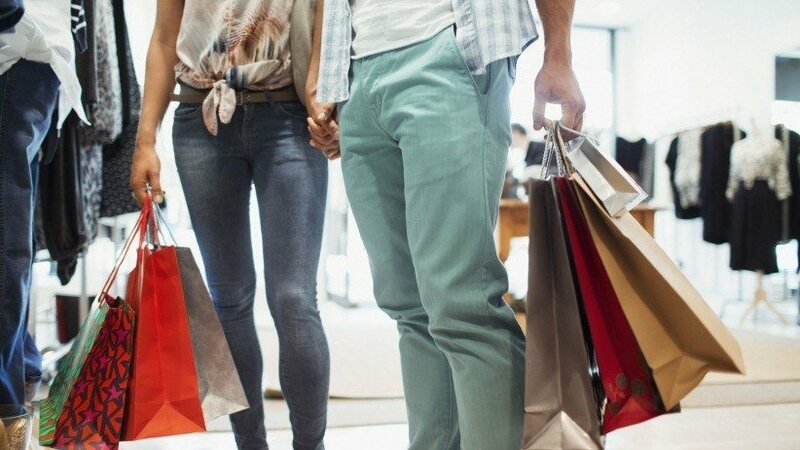 If you’re an independent retailer with at least one brick-and-mortar store, that’s an advantage. But you have to make the most of that physical space. Farla Efros, president of HRC Retail Advisory, says she buys all of her casual clothing from a small store in Toronto. The woman who owns the store keeps a customer book and stays in close contact with her patrons via email blasts, Instagram posts and even text messages. She’ll sometimes text Efros to say she’s set aside a few items she thinks she might like to try on. This approach fosters loyalty, something that is hard to come by in a fragmented marketplace. Efros emphasizes that competing on price will work in the short-term, but that a long-term relationship is the ultimate differentiator. To help you cater to that personality, you have to listen to your customers. A shopkeeper who strikes up a conversation with everyone who comes in their store might notice a pattern, say, of multiple people who come in looking for a pair of cowboy boots. When this happens, that entrepreneur might decide, I’d better start selling cowboy boots, this seems like the hot new trend. Bob Phibbs, CEO of The Retail Doctor, argues that struggling stores are “reaping years of poor customer service.” Generally, people want someone to greet them and they want the store to be clean. But serving them beyond those bare minimum requirements is a prime opportunity to gain insights into what they want -- and seal the deal if they’re on the fence about a purchase. Phibbs and Cohen both stress the importance of maintaining a dialogue with customers before, during and after each transaction so there’s no guesswork as to whether they’re satisfied with the selection. Personalization is key, but that goes beyond offering a combination of products that your customers want. Nordstrom and Converse are among the retailers that have installed customization workshops within their stores. Efros, who studies the shopping behaviors of Generation Z, notes that a desire for uniqueness is especially true of younger customers. Not every retailer can offer made-to-order sneakers, but every retailer should work to curate a one-of-a-kind experience, rather than a one-size-fits-all one. Experience, in and of itself, is what today’s customers desire more than material possessions. Research shows that doing makes people happier than owning. Cohen explains that the Great Recession and the internet are two factors that have created a dynamic in which customers no longer aspire to own the latest, greatest products for materialistic reasons. They instead seek items that are going to foster an experience -- think computers, widescreen TVs and even stand mixers in the kitchen. People have “started building memories, not wardrobes,” Cohen says. If you want your customers to buy stuff from you, one strategy might be to frame it around an experience a customer might be gearing up for. Technology has enabled many retailers to start up, but it also presents a dizzying number of options. In-store beacons? Self-serve kiosks? Smart mirrors that enable virtual try-ons? Retailers should be wary of being lured by these shiny objects. Don’t feel like you have to add bells and whistles just because another store is. Ask yourself: What value is this really adding for the customer? If you know your customers, you’ll be less likely to experiment with irrelevant gimmicks that many customers will find pathetic, such as aDJ in the middle of a men’s department. Then there’s data. The internet is what has led customers to expect hyper-personalization, and as a niche retailer, you might benefit more from targeting tools than someone who sells to the masses, Lobaugh says. The question is whether you have the skills and expertise to use those tools. If you think this type of targeting, or any other type of technology, truly has the potential to take your business to the next level, learning how to leverage that technology could give you a leg up on your competitors. You’re better off being a leader than a follower, or doing something others aren’t, Lobaugh says. You have to find the solution that works for you.